Master Bond EP21LVSP6 is a two component epoxy compound for high performance bonding, coating, sealing and encapsulating. It is formulated to cure at room temperature or more rapidly at elevated temperatures. It offers a very convenient one to one mix ratio, by weight or volume. EP21LVSP6 is particularly well conceived for specialty applications where the combination of a long open time, low viscosity and excellent physical properties are all vital to an application. The system also has very good chemical resistance to water, oil, fuel, acids and bases. EP21LVSP6 bonds well to a variety of substrates, including metals, composites, glass, ceramics, rubbers and plastics. It has very good physical strength properties as well as being a good electrical insulator. It has a service temperature range of -60°F to +250°F. The color of Part A is clear and Part B is amber clear. 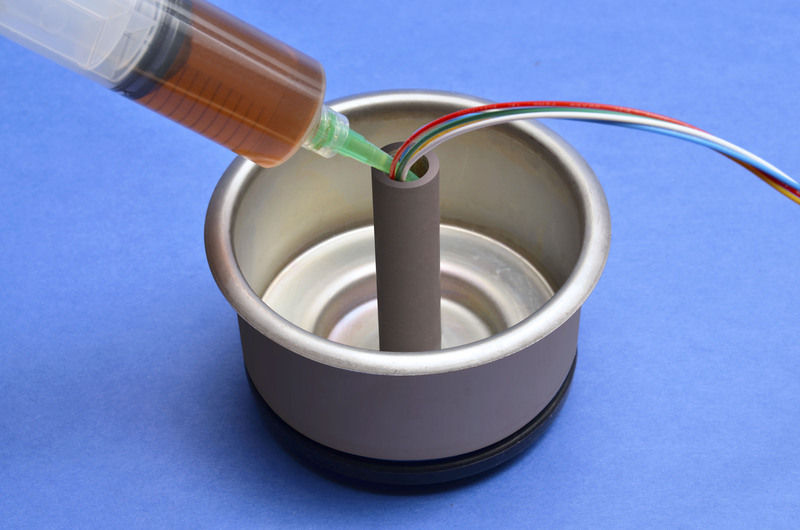 This system can be used in aerospace, electronic, electrical, optical and other specialty applications where high performance properties combined with a long pot life and low viscosity are desirable. As one would expect with this kind of system, it has very low exotherm and can be used for large castings. EP21LVSP6 is available is various sizes and units to accommodate customer's needs. This infographic offers the highlights of EP21LVSP6, a low viscosity epoxy system with a long working life of 3-5 hours at room temperature.